Gahirmatha Turtle Sanctuary is the biggest breeding home of the sea turtles. Gahirmatha is located in Orissa’s Kendrapara District. 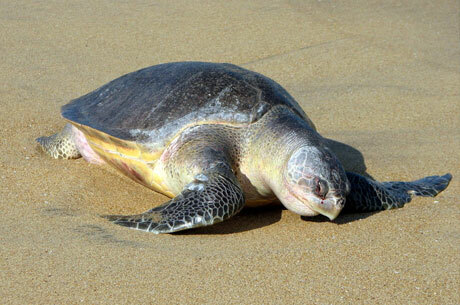 Gahirmatha Marine Sanctuary is world famous for Olive Ridley sea turtles. It is the biggest breeding home of the sea turtles. Gahirmatha is located in Orissa’s Kendrapara District. Gahirmatha Marine Sanctuary is world famous for Olive Ridley sea turtles. To strengthen the beauty of Gahirmatha Sanctuary, there is one very long beach that has become the main attraction of the park. Gahirmatha Turtle Sanctuary is a charming destination to travel by the wildlife enthusiastic and offers few fine beauties of the olive sea turtles. The entrance of the River Dhamra is truly the breeding place of the olive Ridley sea turtles. It has been confirmed as a world heritage site. 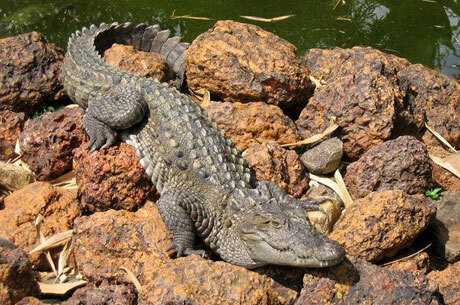 The Gahirmatha Turtle Sanctuary provides a great diversity of flora and fauna. The main flora of Gahirmatha Turtle Sanctuary are Bel, Zizphus Bija, Terminenalia, Salaia, Casia, Kauriculata, Helicteres, Tendu, Hiwar, Palas, Sal, Dhawda, Babul, Teak, Bamboo and hair etc. 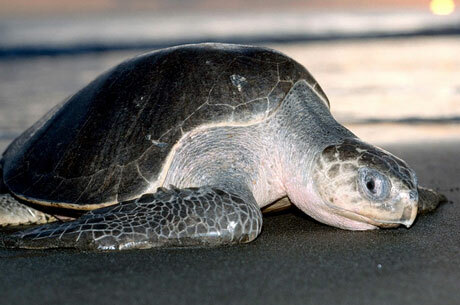 It is well known for the huge Olive Ridley Sea Turtles that come from the Pacific Ocean to give the eggs and mate. The fauna of Gahirmatha Turtle Sanctuary is very extraordinary. The most usually seen wildlife species are Wild Boar, Bear, Barking deer, Leopard, Jungle Fowl, Crocodile, Sambhar, Hyena, Wild Dog, Four-horned antelope, Chinkara, Wild boar, Sloth Bear and Blue Bull etc. It’s climate is humid because of the closeness of the Bay of Bengal. Gahirmatha gets very much rainfall in the monsoon months starting from form mid-June to end of September. Waterways: From Chandabali, Ragnagar and Gupti, one can take the ferry to Gahirmatha. For more details you can visit Wikipedia about the Gahirmatha marine sanctuary.